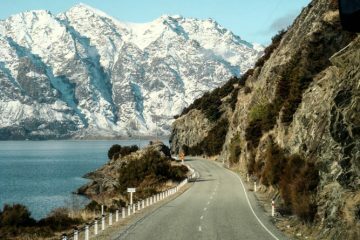 It’s not hard to find inspiration for an incredible adventure in New Zealand, as it’s home to some of the world’s most epic national parks, dramatic mountain ranges and valleys making it one of the most scenic countries on the entire planet. With so much to choose from, it’s hard to narrow the options down. 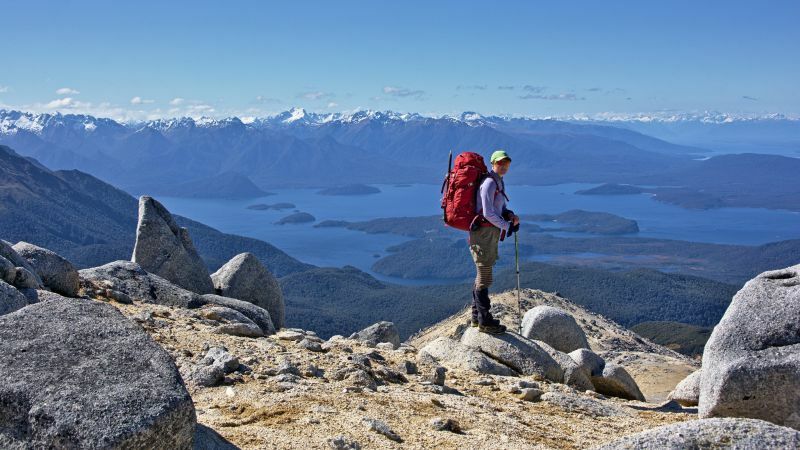 To help, we’ve selected eight of the best hikes in New Zealand. For most, you’ll need a tent, a backpack and you definitely can’t forget your camera – these are moments and you’ll want to relive over and over again. This 20-mile trek through both the Fjordland and Mount Aspiring National Park is the ultimate alpine adventure in New Zealand that climbs above the bushline for spectacular vistas over mountain ranges and valleys. Swapping stunning beech forest for expansive views of the snow-capped Darran Mountains, you’ll be following a cascade of the Routeburn Falls. The trek tops out at 1,255m with a towering view over the glistening Lake Harris, before you drop back down to camp beside the crystal-clear Lake Mackenzie. 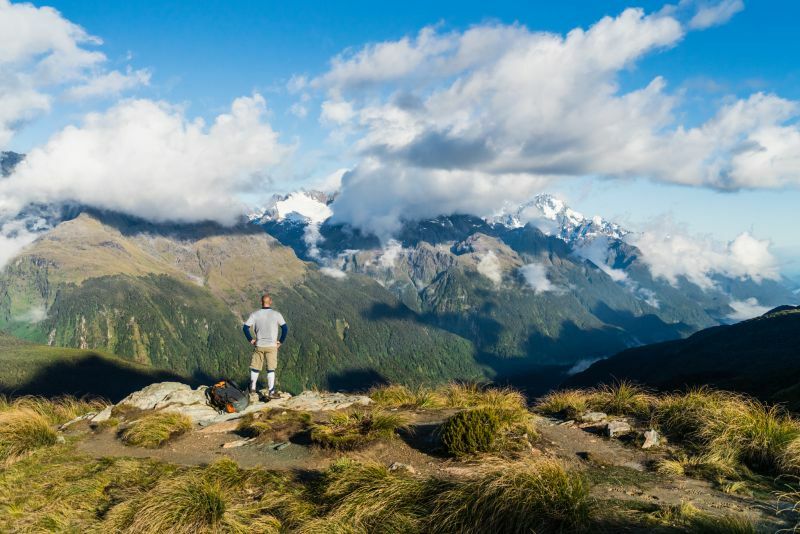 There’s views of the snaking Hollyford Valley and the mystical Earland Falls on this two – four day trek, so you’ll be ticking off a heap-load of treasures on your best hikes in New Zealand bucket list. Tongariro is New Zealand’s oldest national park, and comes with UNESCO Dual World Heritage Area status – does that tempt you for an adventure? Well it should do, as this 12-mile hike through a volcanic alpine landscape of dramatic contrasts and unique landforms makes for a challenging day out. 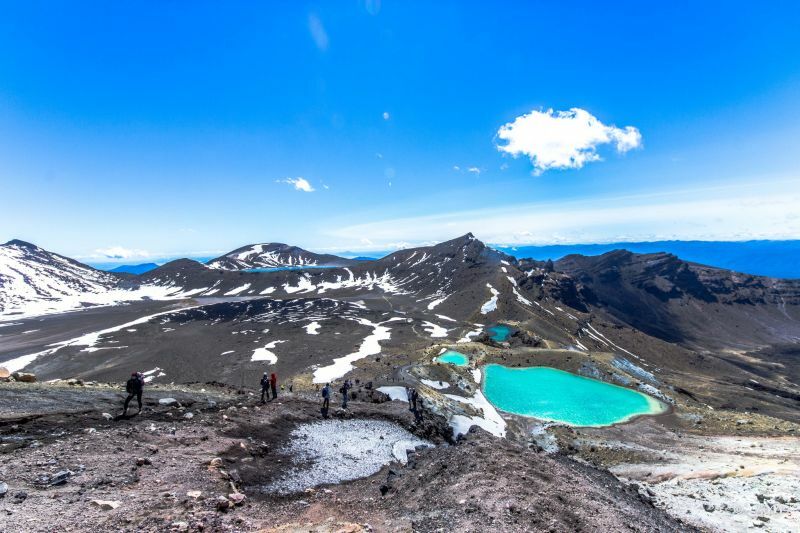 Beginning at 1,120m, climb the Mangatepopo Valley between the foreshadowing Mount Tongariro and Mount Ngauruhoe (Mount Doom from the Lord of the Rings) before reaching the highest point on this trek at 1,886m. Descending from here, you’ll see elements collide as the volcanic red rock scree merges into vivid emerald lakes, locked in the midst of a glacial valley with scattered steaming vents. This eight-hour endeavour will fly by, and offers a fantasy-like journey, earning its world-renowned reputation. 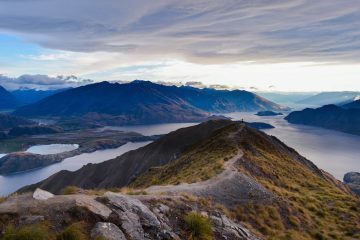 Located in the Otago region, or the Wanaka area to be more precise, this summit ascent of Roys Peak is a 10-mile beauty of a hike. 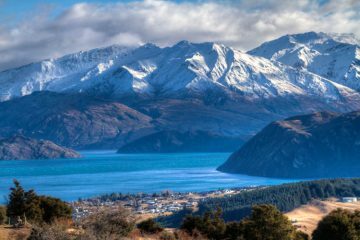 Focusing on your hiking will be tough, with astonishing views of the crystal clear Lake Wanaka and its lone willow tree surrounding you. In the distance, the dramatic Mount Aspiring and its neighbouring, snow-capped peaks burst through thick layers of cloud. It’s a steep climb through alpine meadows to the tussock tops of the 1,578m summit, but once conquered, you’ll be able to enjoy a view of unparalleled beauty. 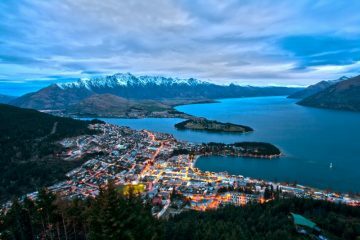 Take in the snow-capped peaks of the Southern Alps and the marooned island bays, and six hours later, you’ll have completed one of the most popular and best hikes in New Zealand. 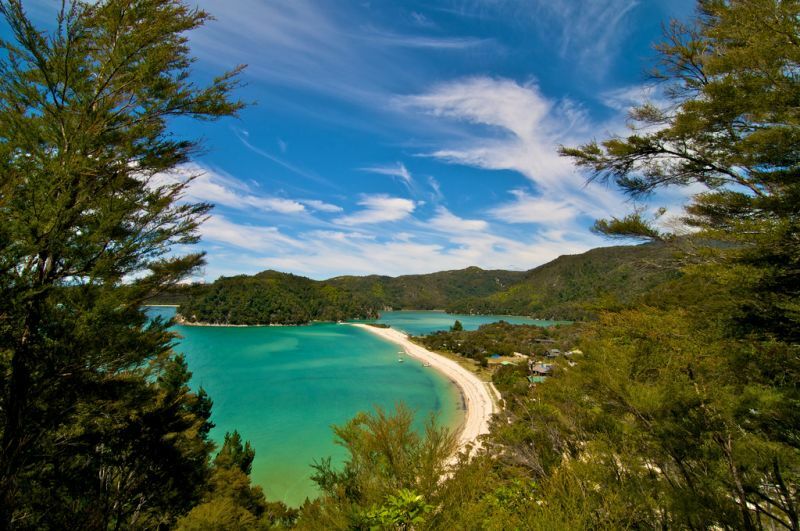 Swapping an uphill adventure for a coastal one, the Abel Tasman Coast Track is a spectacular hike past pristine golden beaches and through coastal native bush. The start of this 37-mile hike is through the lush beach forest of Marahau, home to majestic kanuka trees rising above you. Heading inland, you’ll pass over the 47m-long suspension bridge that hangs over the Falls River, the first of three water-based natural wonders. This walk takes on the Cascade Falls and Cleopatra’s Pool, a perfect swimming hole of clear, cool water. Returning to the coast at Onetahuti Bay, keep your eye out for some furry friends, as through the jungle-like trees, you may spot fur seals bathing on the rocks. You won’t blame them once you’ve seen the beach they rest on. Allow three to five days for this epic journey through forest and sand, but it’s a great excuse to wild camp beneath the incredible stars of New Zealand. 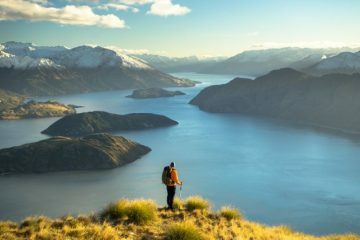 For the more adventurous hikers, one of the toughest and longest guided treks in New Zealand covers 36 miles, four valleys and two passes in the space of an epic four-day challenge. 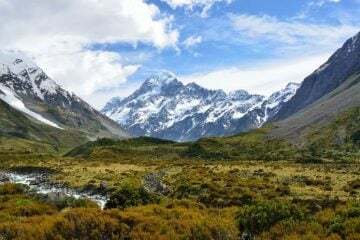 The Gillespie and Rabbit Pass Trek lies within Mount Aspiring National Park on the South Island, and this section of the dominant Southern Alps is a World Heritage Area, too. You’ll cross the majestic, clear blue Makarora River and view the rugged crown of Mount Awful, visible from the top of the Gillespie Pass. Lying under Mount Alba and deep within the Siberia Valley is the twinkling Lake Crucible, where glittering, crystallised icebergs scatter the water’s surface. 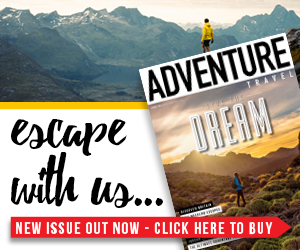 These are the perfect remedies and rewards for one of the country’s most challenging adventures. 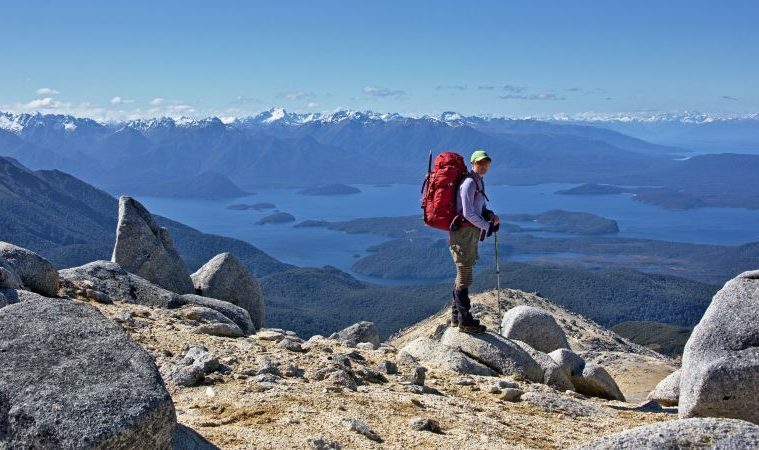 Based in the Fjordland region, the Kepler Track is a three to four day route that offers a wilderness adventure amongst Tussock covered ridges, spectacular alpine panoramas and peaceful lakeside valleys. The deep blue waters of Lake Te Anau, New Zealand’s second largest lake, kick-start your journey before a challenging climb above the Te Anau Basin gives you breathtaking vistas of the surrounding mountains that poke through layers of everlasting cloud. This track lets you explore the depths of Luxmore Cave and gives you the chance to reach Luxmore summit, the highest elevation of the trail at 1,472m. The ever-changing scenery takes you from above the clouds, through winding gorges and podocarp forests, before finally reaching the shore of the tranquil Lake Manapouri. 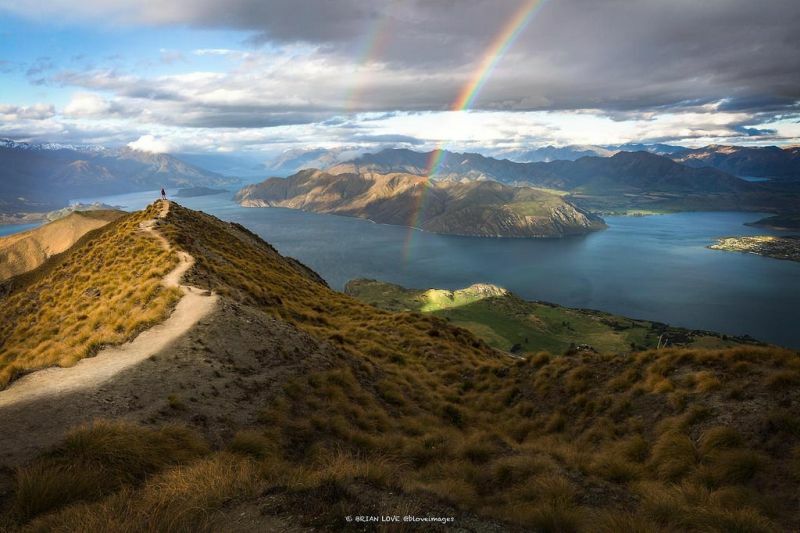 Measuring 37 miles in total, this is one of the best hikes in New Zealand and is an adventure you won’t forget in a hurry. 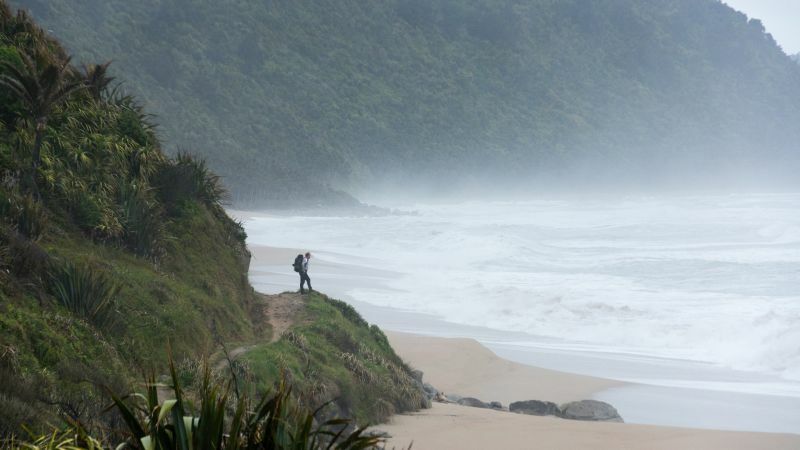 The remote Heaphy Track (one of the Great Walks) can be found in the Kahurangi National Park and is one of the longer treks on this list. Taking four to six days and totalling 49 miles, you have the option to hike or mountain bike the expansive tussock downs and luxurious forests of Nikau Palms to the roaring seas of the wild West Coast. You’ll pass through ancient beech forests, home to limestone caves and cliffs, whilst there are broad rivers to cross, deep beneath the rugged, densely forested mountains. Finish the walk through the sub-tropical rainforest, submersed with native Nikau Palms, and through the holes in the trees you’ll see and hear the wild Tasman Coast awaiting your arrival. 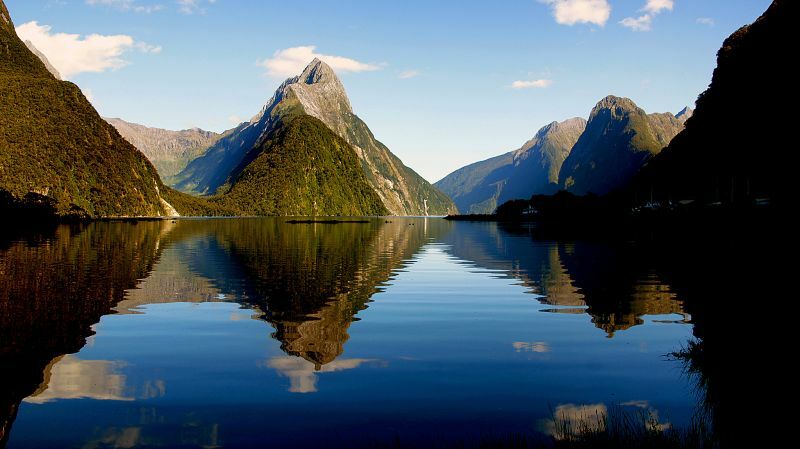 Often dubbed the ‘finest walk in the world’, the renowned Milford Track is a four day adventure that leads you through valleys carved by glaciers, prehistoric rain forests and stunning cascading waterfalls. 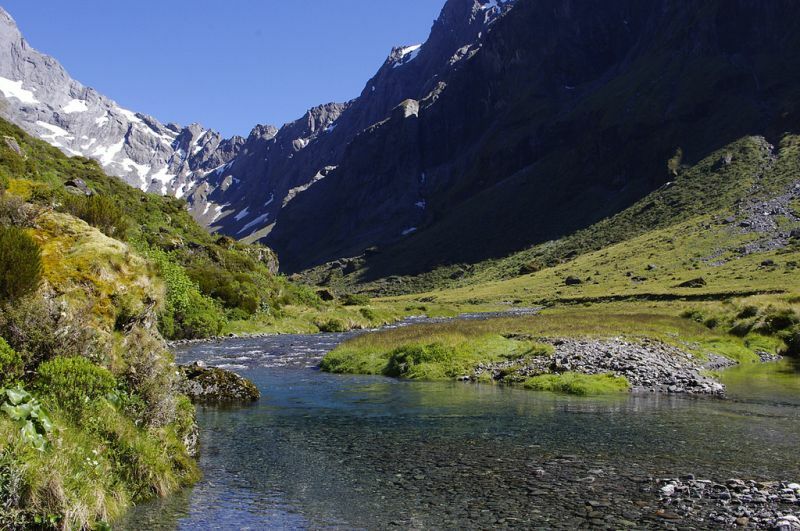 Follow the emerald waters of the Clinton River up to the base of the famous Mackinnon Pass and get a first glimpse of the awe-inspiring Pompolona Ice Field, before ascending up the Clinton Valley with towering rock walls either side of you. Look back for exceptional views of Lake Mintaro when you reach 1,154m, before descending through alpine gardens, passing a handful of impressive waterfalls along the Roaring Burn River. Save the best till last however, with the spectacular Sutherland Falls, which drops 580m from Lake Quill. This grand, wild, 33-mile adventure is one of the wettest places on the planet, but with a hike like this, you won’t catch us complaining.